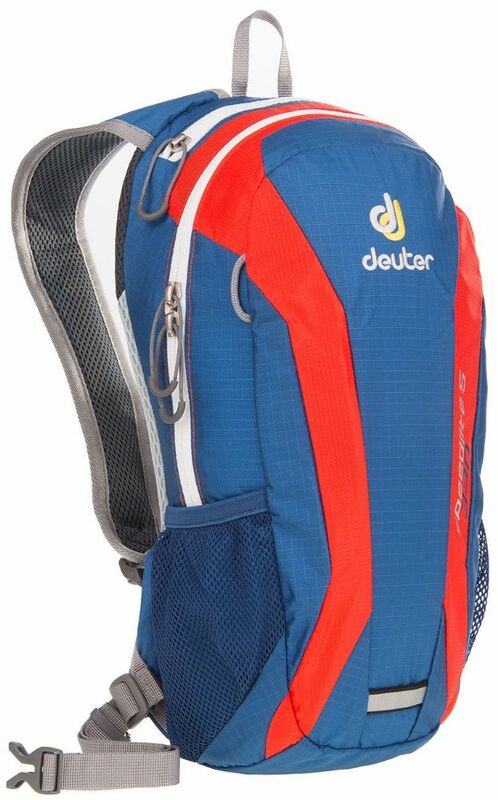 The Ultralight Deuter Speed Lite 5L Backpack has a wide opening main pocket and top valuables pocket with clip. Pockets can be accessed without having to remove gloves thanks to the large zip pull loops. The pack features 5 litres of storage capacity making it ideal for running and cycling. Two elasticated mesh bottle holders and a hydration bladder compartment gives more than ample storage space for liquids. The Speed Lite incorporates a height adjustable chest strap and webbing waist band for long use comfort. The Deuter Speed Lite 5L Backpack also features reflective detailing and SOS signals printed inside in case of an emergency. Special tapered shape for extra arm freedom for running, ski touring, climbing or cycling.